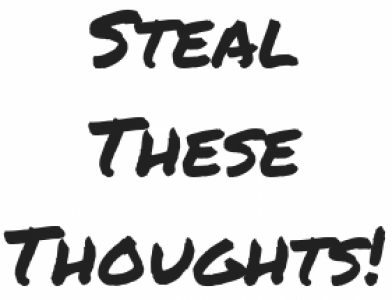 Forget money, be of service – Steal These Thoughts! My simple answer is this – nothing, I’m making absolutely nothing and I’m not looking to. You see if you’re getting into this whole content creation world of writing, filming, coaching etc with the sole ambition of making money, like that’s your only purpose, the only goal, then it won’t last long. My philosophy is this, if you’re going to create something and put it out into the public domain, do it for the right reasons. In my opinion, the right reasons are to be of service to your fellow humans, to provide content of real value that will help people with something. It’s possible that you might make money out of this approach at some point, which don’t get me wrong is great. Yet if your starting ambition is just to make money because you think it’s going to be a quick way to do this, then I think you’ll be in for a surprise. I honestly don’t believe anyone will last long in the content creation game if the only goals is to make money. Whenever I’m asked if I’m making money from my side project and I greet the person whom asked with my response above, I generally receive a confused look from most. I presume they are confused because from their perspective, they cannot imagine why I would invest my most precious commodity of time into creating stuff if it doesn’t have a financial benefit. You see not everything has to be about money. Yes money is cool, it let’s you purchase stuff which is awesome, but it doesn’t provide fulfilment, joy, meaning or the sense of purpose – well, not in my experience anyway. I’m a believer in being of service to others and that’s why I do what I do. Yes, I enjoy writing about my insight and experiences from the worlds of learning, personal development and managing the monkey mind. But I also do it to be of service to others, I hope that others benefit from the content I create and it is for this reason that I try to aim to provide stuff of real value. I’m not saying that you shouldn’t look to make money from your side projects, but if that’s your only purpose, then don’t expect it to be around for the long term.